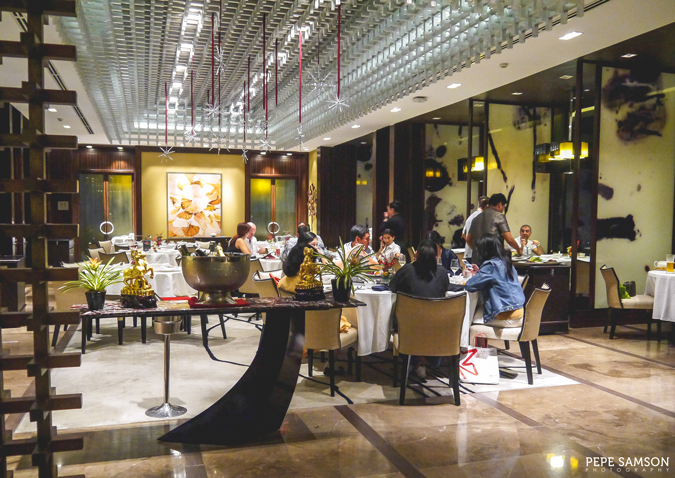 Chinese cuisine is very close to the Filipino heart—and stomach. 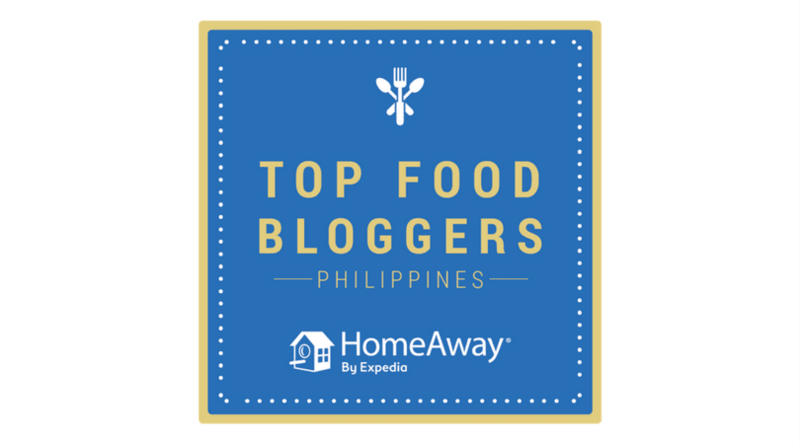 Its influence in local cooking is so deeply ingrained, that more often than not, we don’t think about which came from where—we eat pansit and lumpia as if these are our own, our ancestors’ recipes, which is not exactly like how we think when we munch on sushi, or say, pizza. 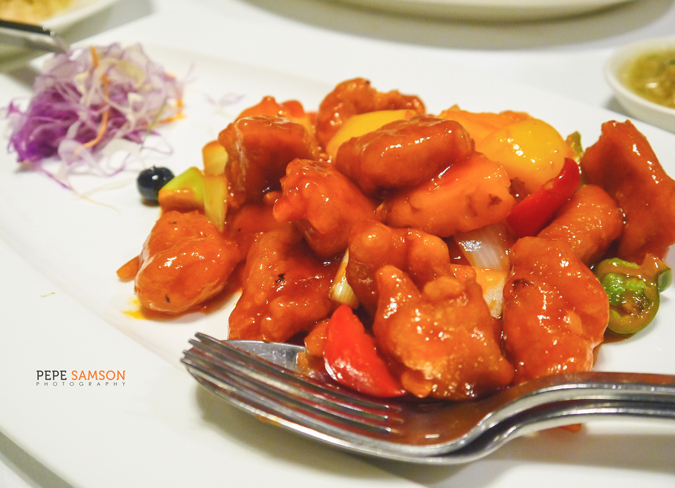 Chinese food is always perfect for family-style dining, and considering our tight family-centric culture, it is no doubt one of our favorites, never absent in any household table. 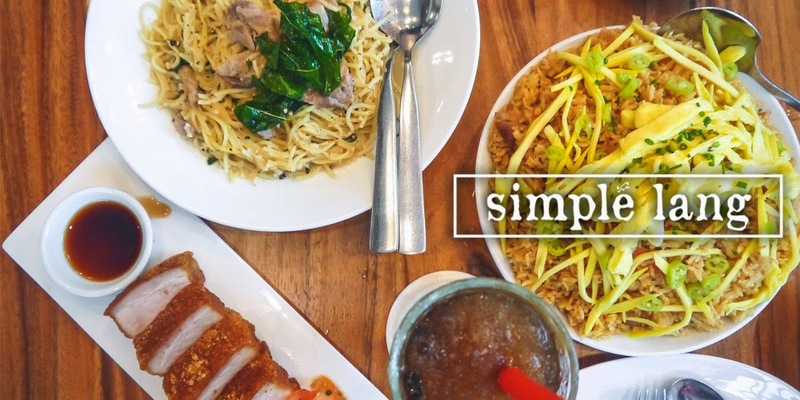 While home-cooked always sounds like a good plan, there are times when we are feeling extra celebratory and we are looking for a place to enjoy the same delicious dishes in a more elegant set-up. 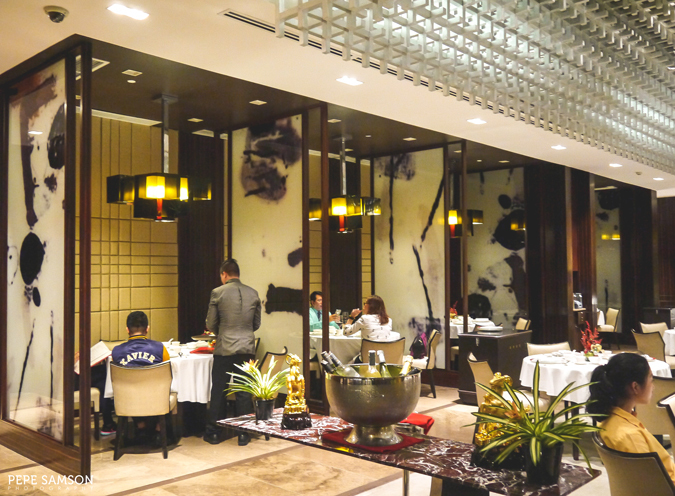 Enter Lung Hin, Marco Polo Manila’s in-house restaurant specializing in authentic Cantonese cuisine. 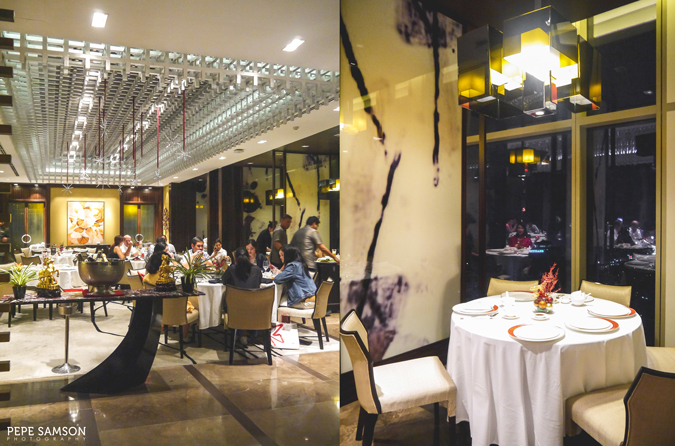 Helmed by Michelin-starred chef, Chef Sunny Cheng, Lung Hin offers Chinese classics with some twist. 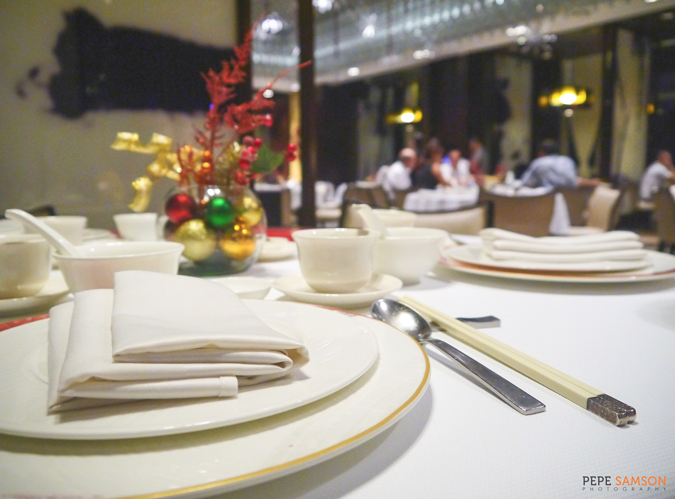 My siblings and I got to try Lung Hin’s delicious offerings during our staycation at Marco Polo Manila a few weeks back. 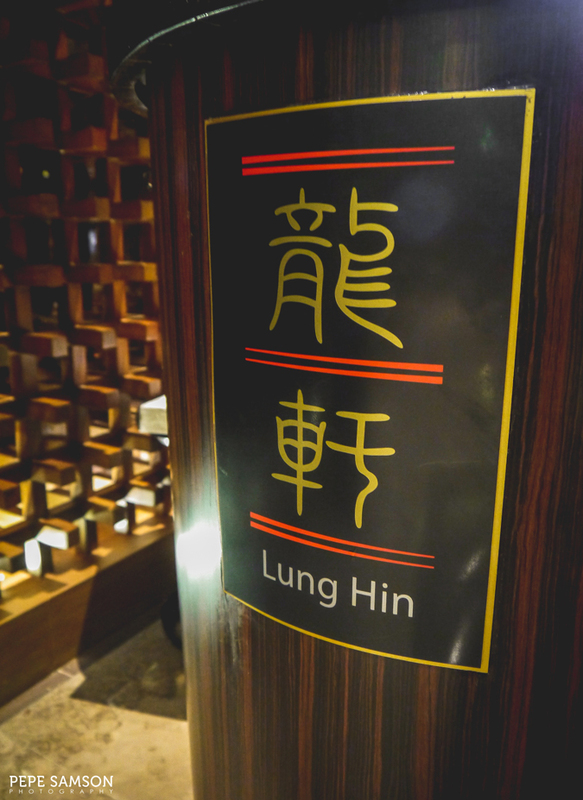 I must say that Lung Hin’s ambience is very intimate, elegant, and stylish—but the atmosphere is not snobbish. Guests can enjoy dining with their families in one of the many round tables in the center, without having to speak in hushed voices or with hands on their laps. One side of the restaurant offers a romantic vibe alongside astonishing views, while the other side exudes a more private feel. We started with their best-selling Baked Pork Barbecue Buns (PhP220/3 pc. 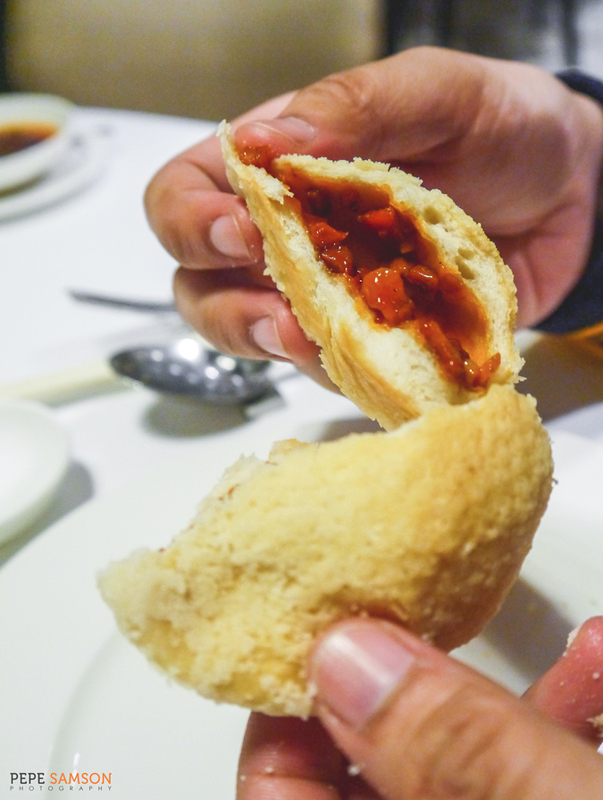 )— soft pan de sal-like buns filled with savory pork barbecue. I loved how generous the fillings are, and how delicate the bread was. 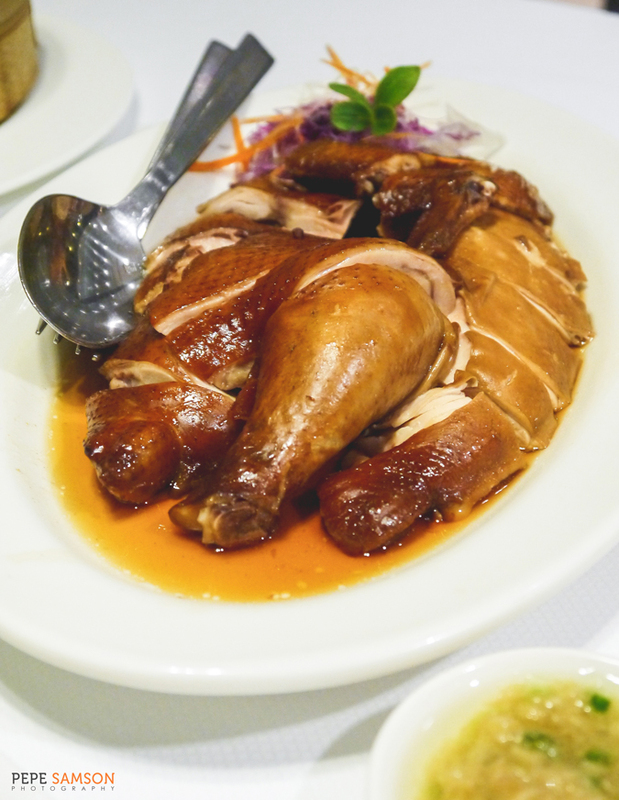 This is very common in the streets of Hong Kong, and if you like this kind of dish, I highly suggest trying Lung Hin’s rendition. 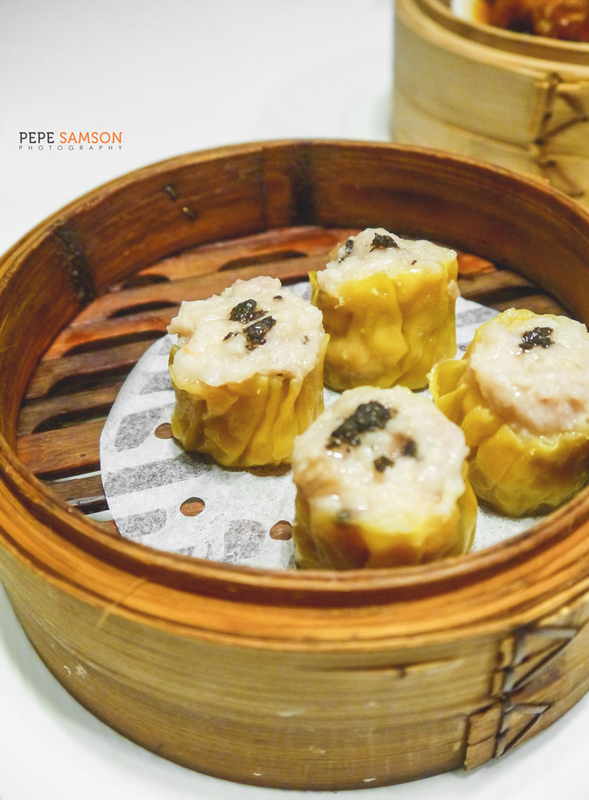 I’ve been dying to try their much-raved about signature dish, the Steamed Pork Siomai with Truffle Sauce (PhP220/4 pc. 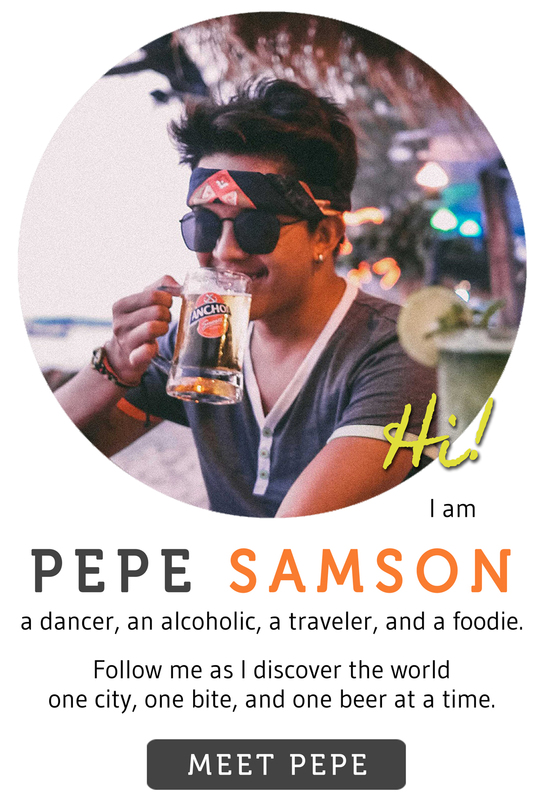 )—and when I finally did, I understood straight away why foodies are going crazy over it. 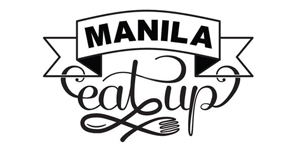 The siomai itself is so juicy and meaty; each bite expels savory flavors inside the mouth. This exquisite taste is balanced by a light truffle sauce—neither too mild nor overwhelming. Chinese food is known to be a little too flavorful at times, but this dish was perfectly balanced. I love it! The Pan-Fried Radish Cake with XO Sauce (PhP220) was another instant favorite: shredded radish laden with homemade XO sauce. 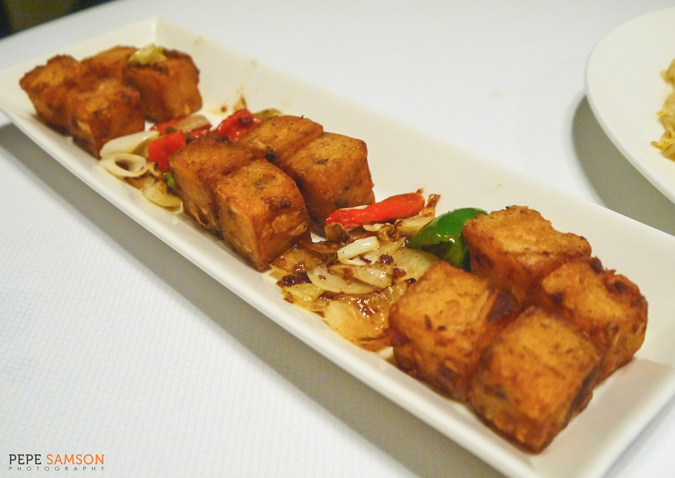 Each cube has a slightly crispy outside and a soft inside—a bit like eating fried tofu—and the XO sauce wasn’t overpoweringly spicy. Instead, it just had the right amount of kick to make you want to reach for more. 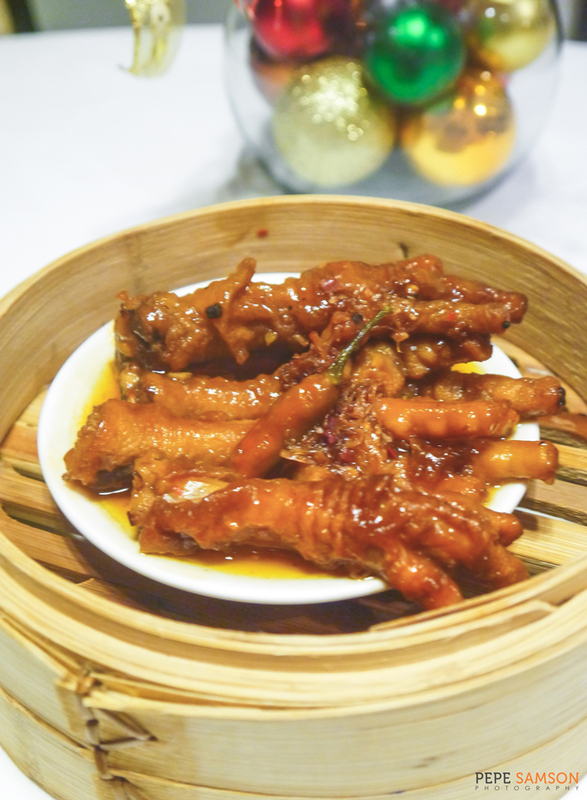 My brother likes chicken feet so we ordered this as well (PhP180). I’m not a huge fan of chicken feet though, so I let him finish the entire bamboo container. For mains, we ordered the Soy Chicken (PhP780), which didn’t disappoint. 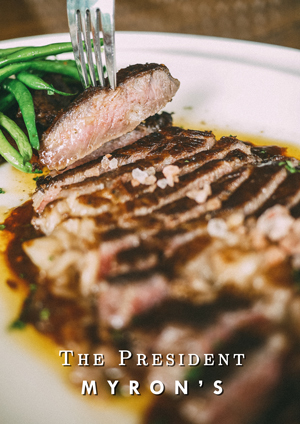 The meat was perfectly cooked, with the light sauce rendering the chicken with just the right amount of saltiness. The crushed ginger with soy sauce was pretty addicting. One particular dish caught my attention while perusing the menu, and it was the Sweet and Sour Pork with Blue Berries (Php480). I don’t regret trying it, as the dish was all kinds of delicious. Perfectly balanced, it came loaded generously with pork chunks, pineapples, bell peppers, and blueberries. Indeed, a must try when you visit Lung Hin. 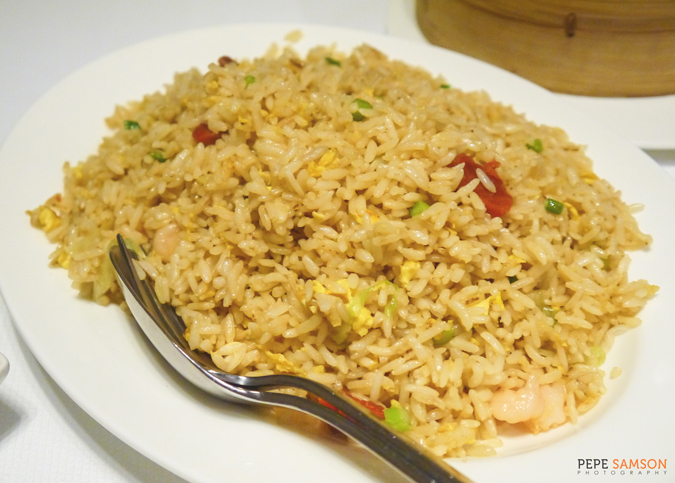 We ordered Yang Chow Fried Rice (PhP480) of course, as dining in a Chinese restaurant isn’t complete without rice of some variant. This dish was so flavorful that it almost didn’t need any viand to go with it. 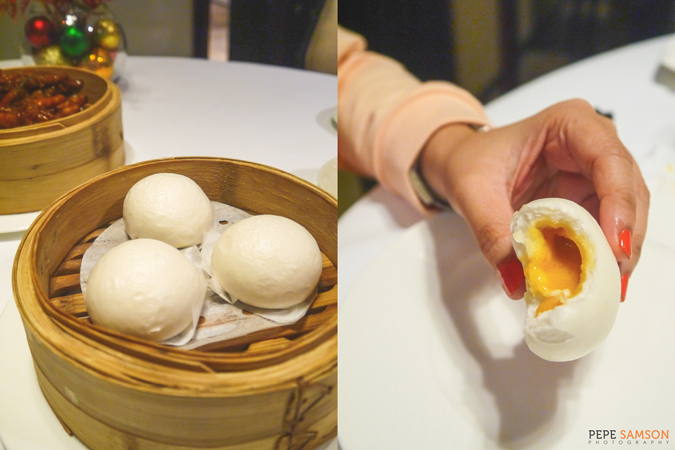 Steamed Custard Buns (PhP180) came next—and it was another dish concealing a delightful surprise inside. 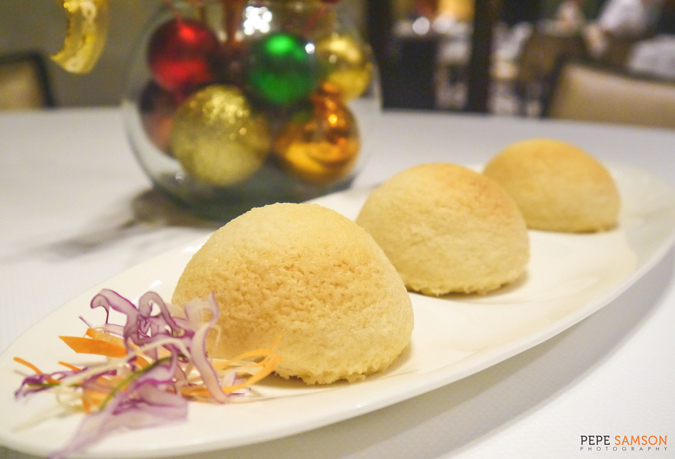 The pillowy mantou, with the slightest prod of a finger or fork, bursts with creamy, sweet-salty, golden custard. I loved the grainy texture of the custard. Lung Hin continued to amaze us up to the last bite—or in this case, spoonful, with the Chilled Avocado Sago (PhP260). Like the more common mango version, avocado and sago meld together here in a wonderfully sweet ending. 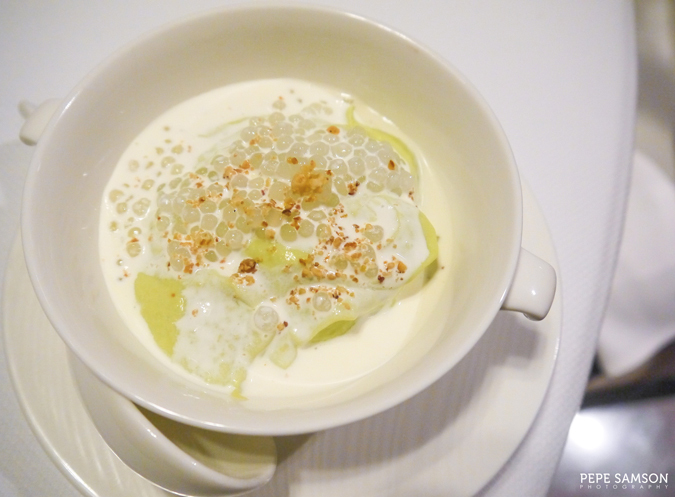 But this one is a lot richer and creamier, with blended avocado, coconut milk, and cream creating something like a cross between ice cream and mousse. Damn, I love it. 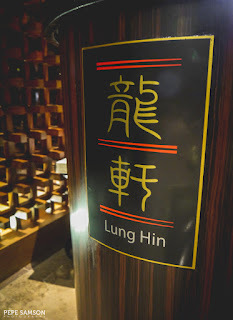 So if you’re in the mood for an upscale Chinese dinner with the family, Lung Hin is definitely one of the top choices in the metro. 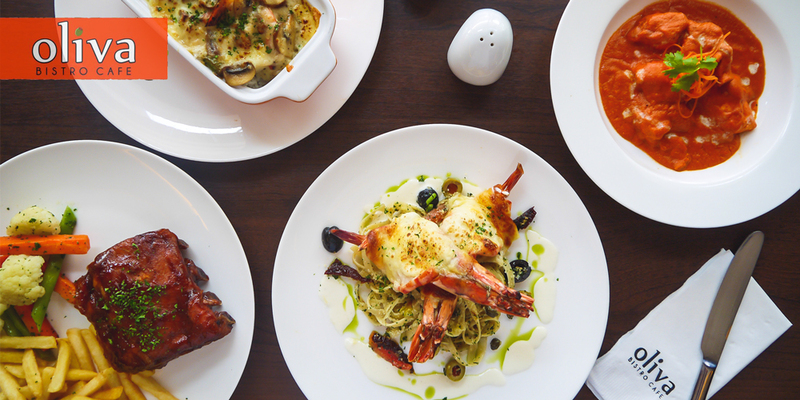 The restaurant offers familiar dishes spiced up with creative tweaks—innovative yet respectful to the original recipes. 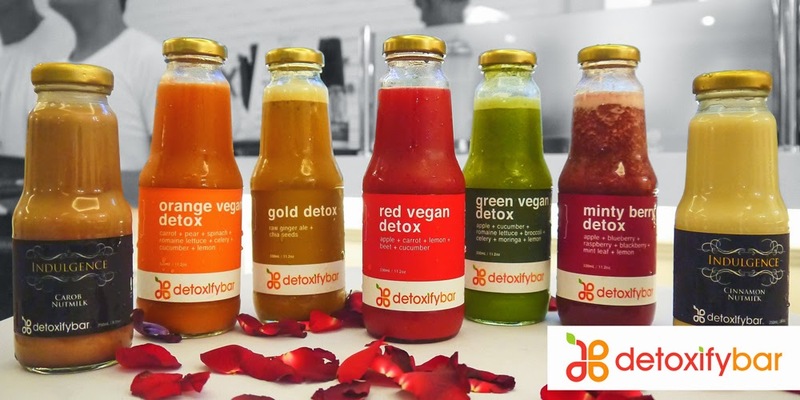 The ambience encourages fancy yet fun dining, and while the prices are a little on the high side, you can be sure that you’re eating food with only the finest quality. Welcome the Year of the Fire Monkey at Marco Polo Ortigas Manila and celebrate with lucky room rates from February 5 to 9, 2016. 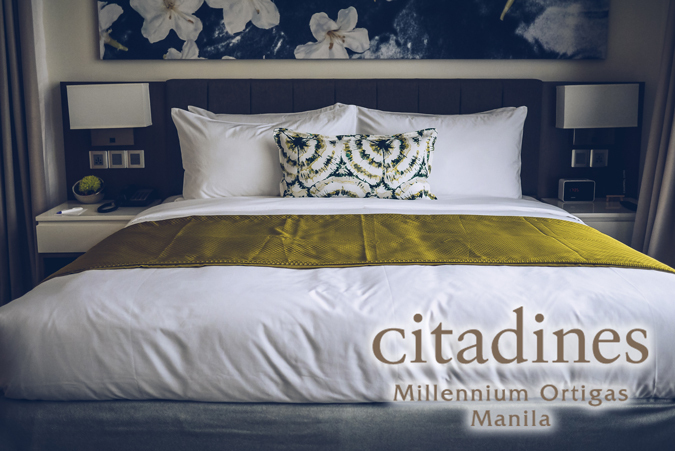 With a room rate that starts at Php 5,388++ (one night) and Php 4,388++ (two nights), spend the beginning of the Lunar New Year at the hotel’s spacious and well-appointed rooms while indulging in an appetizing breakfast buffet for two at Cucina, complimentary high-speed WiFi, and access to the hotel’s indoor infinity pool and Fitness Center. Enjoy a complimentary box of Marco Polo Ortigas’ Festive Chinese New Year Rice Cakes which come in Coconut-flavoured Koi Fishes, Chocolate Gold Bars and Brown Sugar Round Cake. 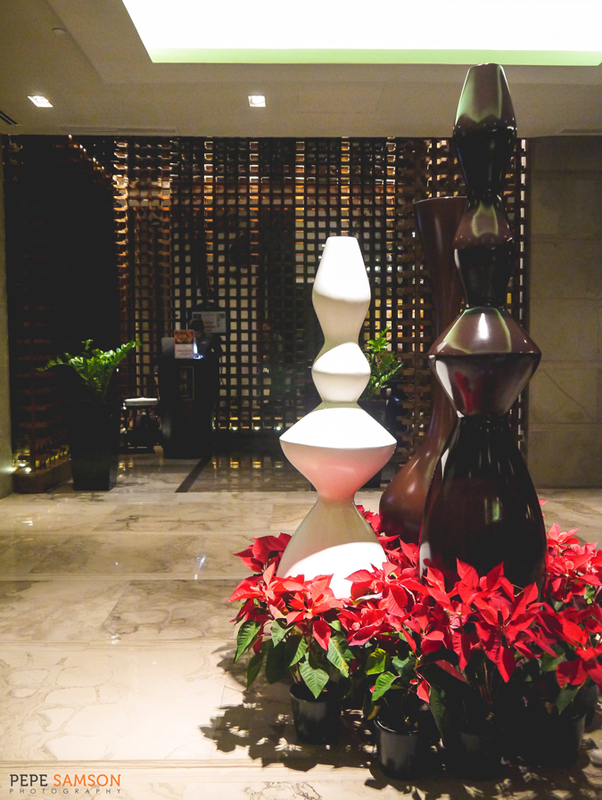 The good luck and prosperity never end as the room also includes a Hongbao inclusive of special benefit hotel vouchers. On February 8, 2016, witness a special lion dance performance, a traditional salad toss and sending of the wishes. 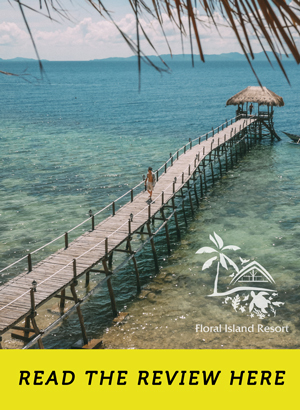 Selling period of the special Lunar New Year room package is until February 9, 2016. What's your favorite Chinese restaurant? 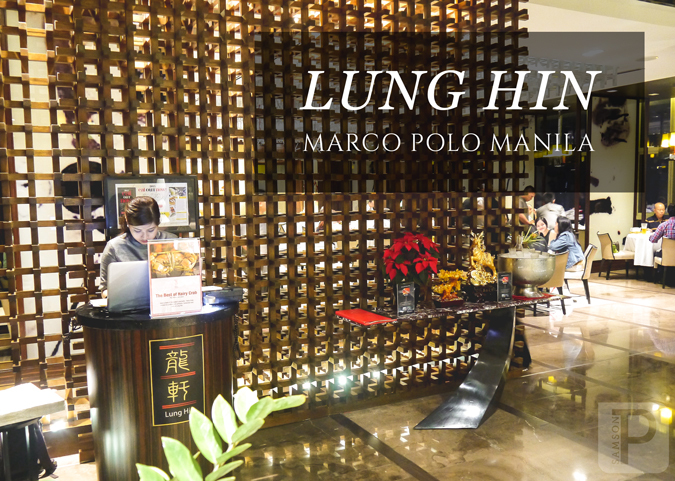 Have you tried Lung Hin in Marco Polo?